The Hurricanes finished October with a record of 0-6-2; but when the calendar changed to November so did the Hurricanes. For the first time this season the Hurricanes have a win streak of 2 after defeating the Stanley Cup Champion LA Kings 3-2. After coming off the win the night before the Hurricanes came out a little slow allowing the Kings to get some good offensive chance but Cam Ward shined again for the second night in a row; Ward stopped 30 out of 32 shots faced. When the LA Kings came into Carolina they were already having a tough trip East losing the first 3 games and still looking for the 1st road win of the season. 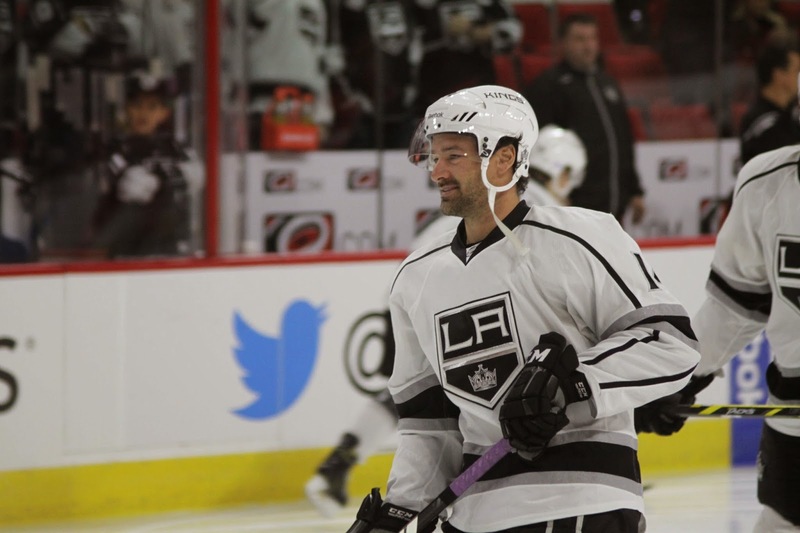 The Conn Smythe winner Justin Williams made his return to Raleigh; Williams is a beloved former Hurricane who was traded to the Kings in 2009 and has been an instrumental part of there success as well. 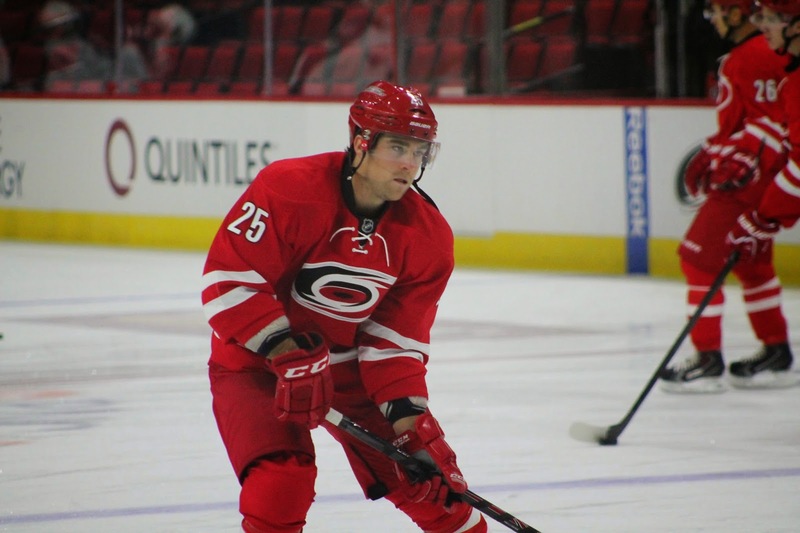 Hurricanes got out to an early 2-0 lead with goals from Victor Rask and Chris Terry; that was Rask 1st NHL goal and Terry got another powerplay goal for the Canes. With that power play goal the Hurricanes are 8-34 on the season. The Kings never got a lead and never tied the game but Elias Lindholm had the game winning goal in the 2nd period and he is now on a goal streak of 2 games. 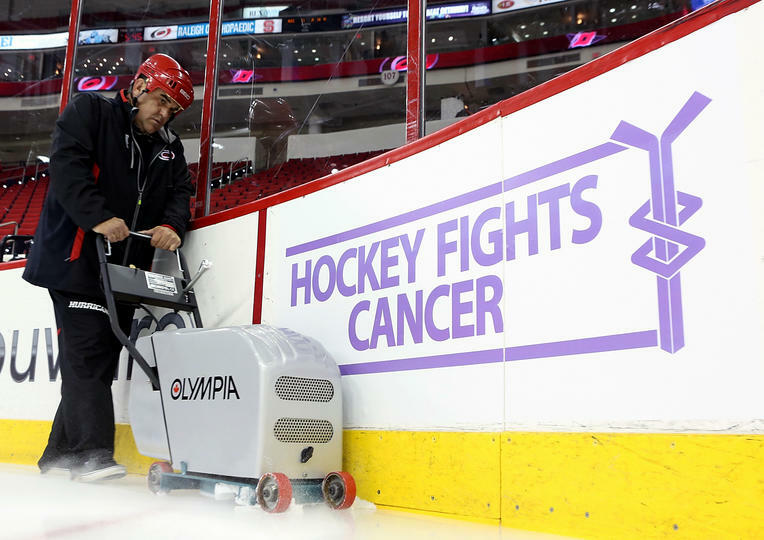 When the Hurricanes return to PNC Arena on November 7th against the Blue Jackets it will be hockey fights cancer night. So make sure you wear some lavender!! !